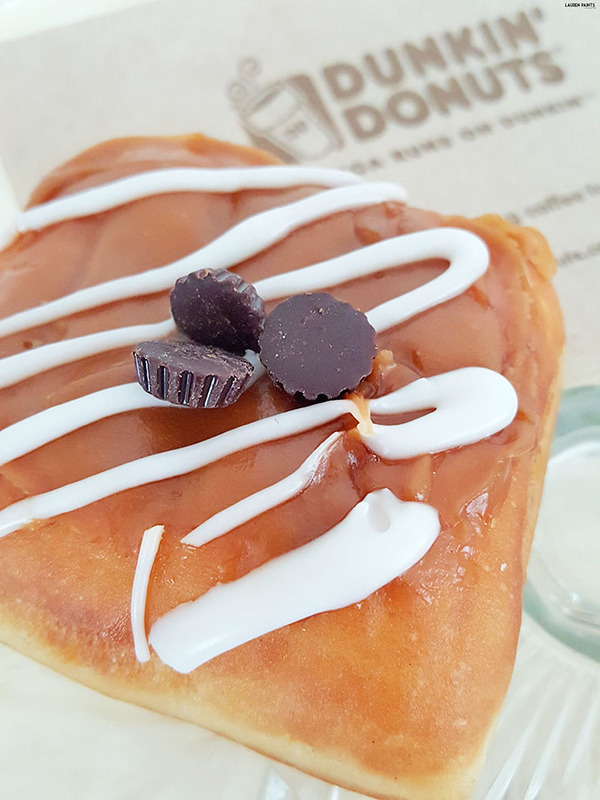 Meet Your New Favorite Sweet Treats from Dunkin' Donuts! This post is in partnership with Dunkin' Donuts, regardless all opinions expressed below are my own. Being a connoisseur of all things deliciously sweet, it may come as no surprise to you that I'm a pretty big fan of Dunkin’ Donuts. With an innovative menu and breakfast items available all day long, it's easy to see why it's such a popular place to grab a coffee & some sweet, sweet goodness. On my most recent visit I was greeted with a huge smile and a great attitude behind the counter, which was a wonderful way to start my breakfast and my day! Let me take a brief moment to say thanks to RJ, from the Clearwater location, for being so amazing! If you're in my area, you'll have to go see him! Let's get back to the donuts though... 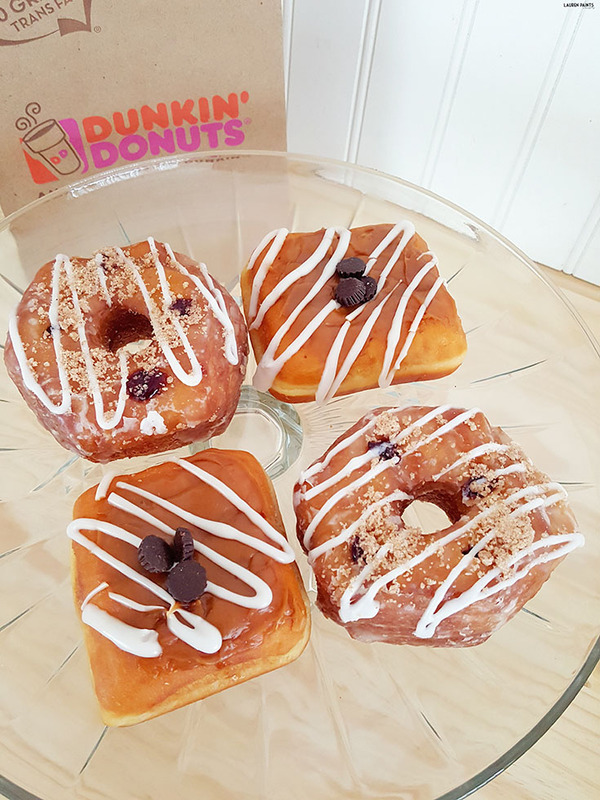 If you're a fellow Dunkin’ Donuts fan, you may remember back in 2014 when they offered a Croissant Donut and it quickly became one of the most popular limited-time bakery items in history! 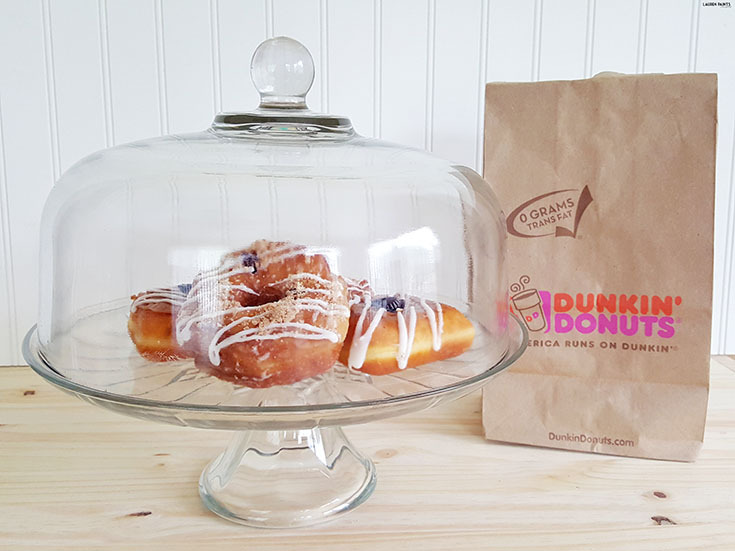 It's kind of a big deal that they're bringing something similar back, so I'm super excited to share more about the new Blueberry Cobbler Croissant Donut! These little beauties are absolutely one of my favorite sweets on the planet--I could eat one for breakfast, one for a snack, and nibble on a few for dinner and still want one for dessert! 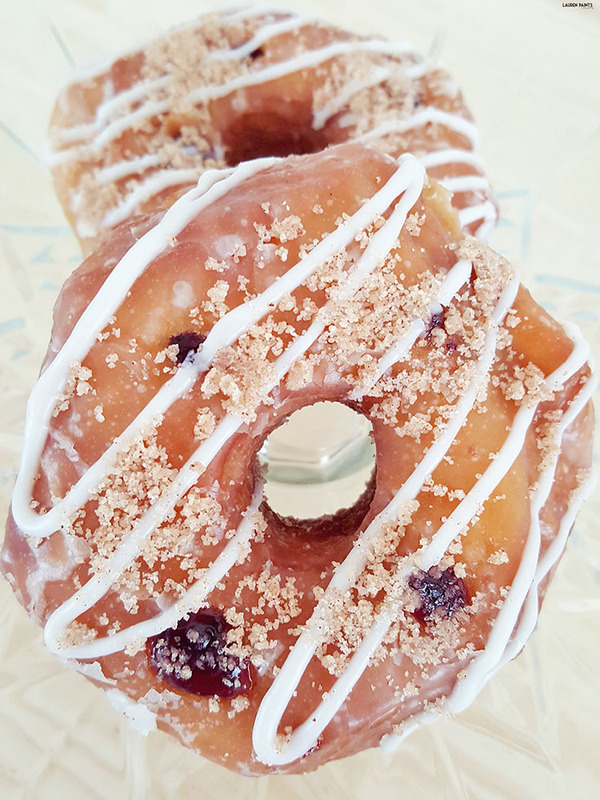 The flavor combination is incredibly satisfying and the croissant donut texture is airy and light, making for the perfect donut for any time of day! 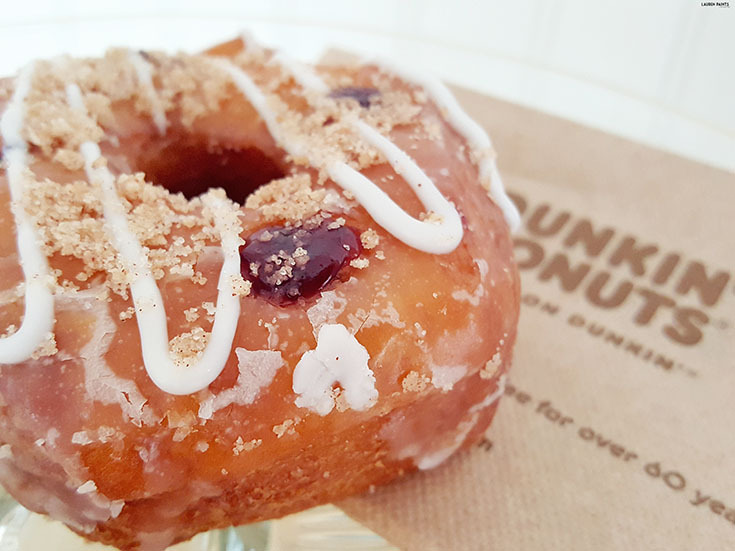 While I'm obviously a huge fan of the croissant donut, I can't forget about the other new and delicious donut on the menu. 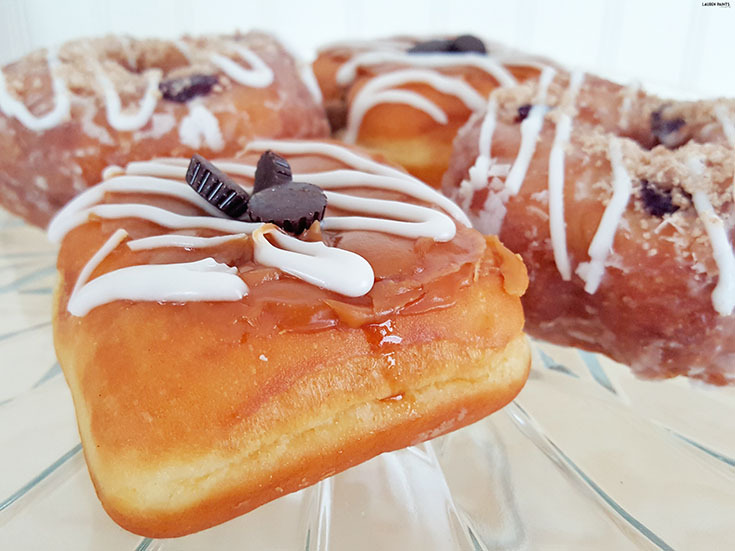 It offers the flavor of drinking your morning coffee and the delicious sweetness of a donut, all in one bite! The Caramel Latte Square is just the right way for any coffee-lover to start the day! With a creamy filling and rich icing and just the right amount of tiny little candies on top, I fell in love with this donut from the first bite! 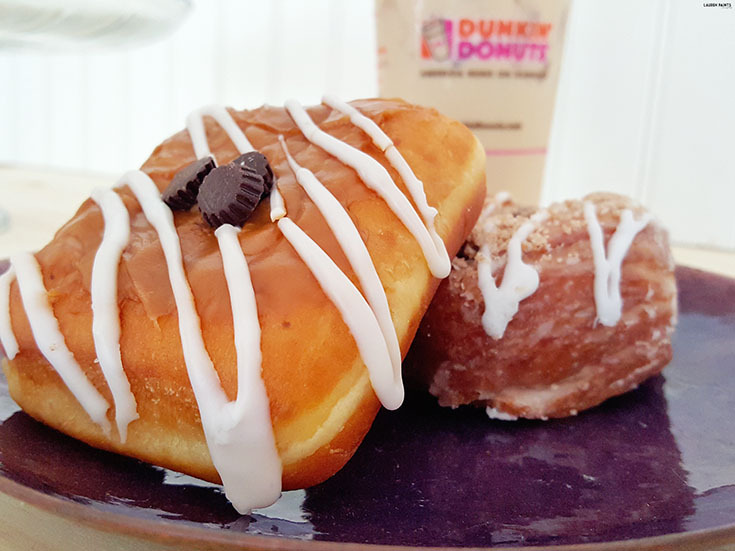 Paired with my favorite French Vanilla Iced Latte from Dunkin' Donuts, I was in heaven while enjoying these two new products on the menu. It's safe to say I'll be heading back to Dunkin' Donuts in the near future, dare I even say today? 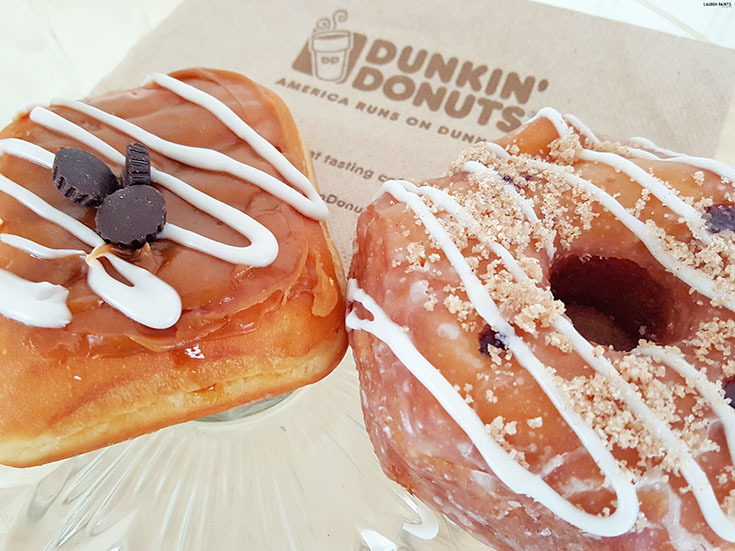 Both of these delicious donuts are available at your local Dunkin' Donuts for a limited time and they are among the most delicious items that have ever graced my lips, no exaggeration. You'll have to give each of the new donuts a try and I guarantee you'll totally understand what I mean! So tell me, which donut will you be trying out first? The Blueberry Cobbler Croissant is my recommendation but both of these sweet treats are so good, you'll probably want seconds or maybe even thirds!